If our bathroom vanities are any indication, we're obsessed with fragrance. We treat our beloved eau de parfums like collector's items, displaying them as if they were design pieces rather than perfume bottles. We would never stray from our favorite scents, but lately we've been craving a lighter, fresher update. We want a low-maintenance fragrance to take us through the summer months—something that suits the beach just as well as it suits dinner and drinks. To us, that's hair perfume. 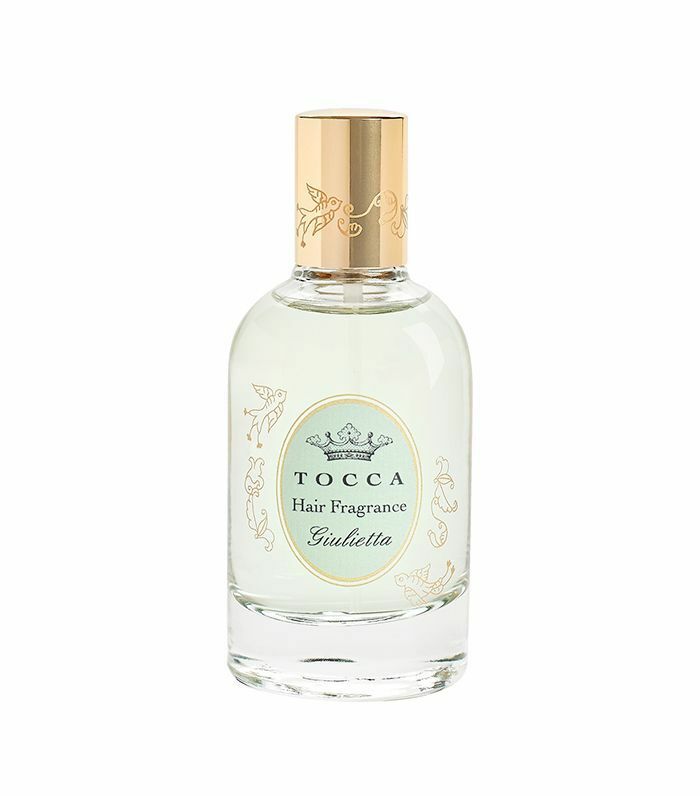 What's not to love about spritzing a scent throughout your strands, just so it subtly permeates the air after a rifling of the breeze or an absentminded toss of the hair? And unlike traditional perfumes, they marry scent with styling; many formulas smooth, hydrate, add shine, and control frizz (bye, humidity). Basically, they're the ultimate two-in-one. To help you choose the right scent and formula for you, we decided to put together a list of the seven best hair perfumes; keep reading to see what they are. According to Tocca's website, a Giulietta is a "Tempestuous Young Italian Beauty." Okay, we don't know about you, but we want to be that. Thankfully, we're able to (at least scent-wise) with this blend of pink tulip, green apple, and amber. It's a fresh yet heady scent, plus, a special blend of moisturizing oils ensures protected, healthy, shiny, Italian-esque hair. Byredo, as a brand, is perfectly chic and unassuming, just like its fragrances—Mojave Ghost included. Violet and sandalwood are subtly woven together with Jamaican Naseberry and fresh Magnolia to create a "warm and woody composition." Conditioning ingredients will keep your hair soft to the touch and glinting with a touch of extra shine. 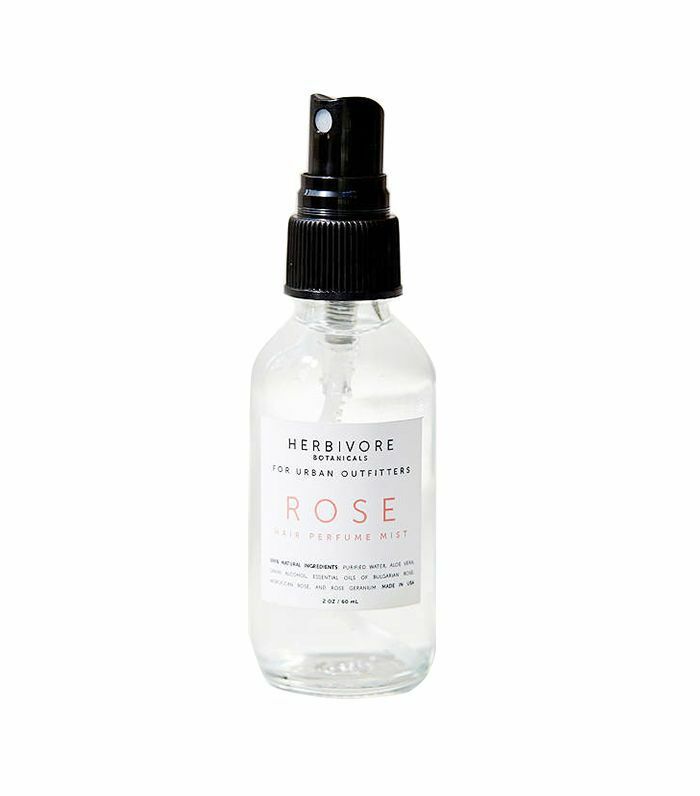 This pick from Herbivore Botanicals is simple and all-natural. We love the soft, fragrant rose scent; just a spritz lifts our spirits. As a bonus, it's incredibly budget-friendly. This scent is a Byrdie editor favorite (or should we say obsession?). It's a fresh take on a fragrant classic: tuberose. But don't worry, if that word automatically summons the image of your grandma's signature perfume, think again. 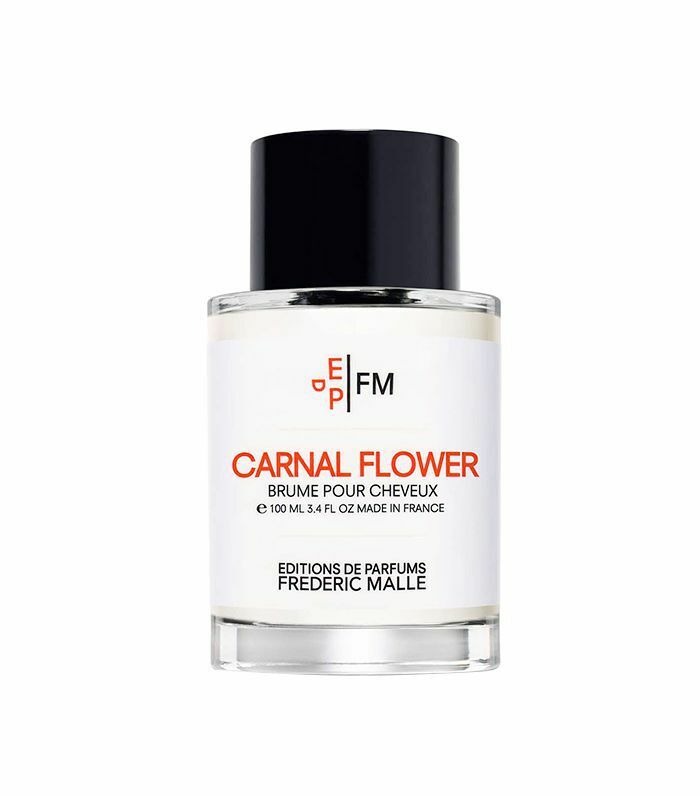 "It is particularly suited for summer use when one doesn't always care to wear a heavy fragrance," says the brand. See? It gets us. Spritz this downright intoxicating scent freely through your hair for a midsummer's night out. 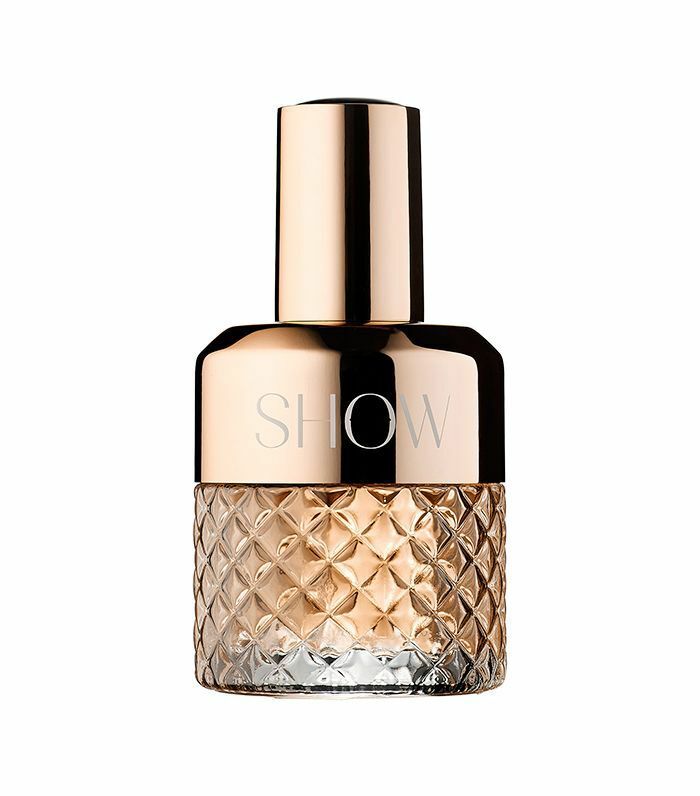 Fekkai describes this as an "effervescent, sunstruck scent." It was, of course, inspired by the fresh and citrusy St. Barth's seaside. What's more summery than that? Aside from smelling subtly and perfectly like citrus, it controls frizz and boosts shine. It's the perfect coupling of haircare and fragrance. 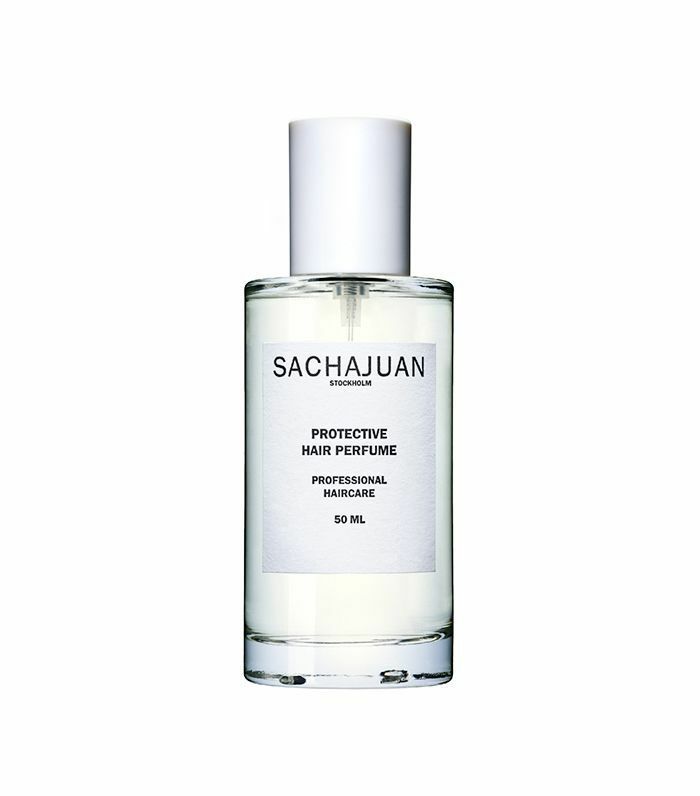 This mist from Sachajuan is a triple threat. It protects your hair from UV rays, rids it of static, and adds extra shine. As for the scent? It an aromatic blend of white musk, cedar wood, green apple, peach, and rose. We'll take them all. First things first: This hair perfume is enriched with rose water, coconut milk, and Madagascar vanilla, which is the dreamiest fragrance combination we can think of. The really cool part about this under-the-radar pick is that it keeps your color from fading. Yep, you can now protect your hair color with a scented spritz. Next up, read which fragrances attract mega compliments.